Just Landed: 3 New Skincare Products To Try Now! | Top Beauty Blog in the Philippines covering Makeup Reviews, Swatches, Skincare and More! Just Landed: 3 New Skincare Products To Try Now! 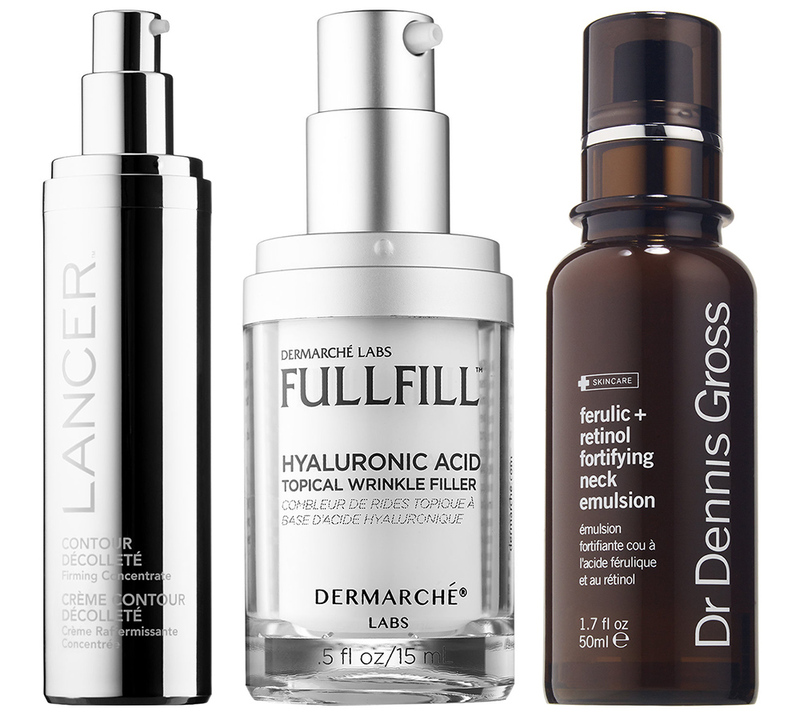 Three new exciting and promising skincare products from Dr. Dennis Gross, Dermache Labs and Lancer worth giving a try . . .
Dr. Dennis Gross Skincare Ferulic + Retinol Fortifying Neck Emulsion $75.00 - This silky, hydrating treatment is designed to protect against future damage while supporting healing of existing damage to the delicate skin on the neck. The elegant formula delivers lactic acid to renew the neck surface, while ferulic acid, retinol, silk amino acids, and Dr. Gross’s exclusive ECG Complex™ support natural cellular repair to restore the skin’s foundation. Skin appears smoother, suppler, and healthier. Lancer Contour Décolleté $185.00 - This innovative firming concentrate contains a 20 percent active constitution featuring marine cone snail venom, a five-peptide liposomal system, and an acid-free exfoliating blend to help plump the appearance of skin, smooth away surface dehydration, soften the appearance of lines and crepiness, and improve surface texture. Dermarche Labs FullFill Hyaluronic Acid Topical Wrinkle Filler $89.00 - Fullfill's breakthrough patented delivery system, Dermadeep, allows for deeper, faster penetration of hyaluronic acid, which helps improve the appearance of your skin's natural volume painlessly over time. The result is a reduction in the appearance of deep lines and wrinkles in the most stubborn areas of the face, including crow’s feet, forehead wrinkles and folds, lip lines, and smile lines. Never tried before these brands, but seem great products! I need something for pores any recommendations?